At the Beverly Hills Center for Plastic & Laser Surgery, we treat a large variety of men seeking natural improvements in their appearance. 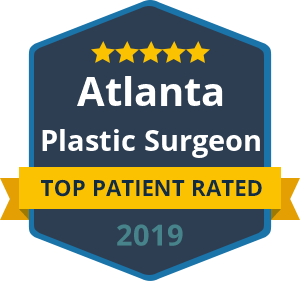 Dr. Talei is an Ivy League and dual fellowship trained facial plastic surgeon, specializing in both surgical and non-invasive techniques for male facial augmentation and rejuvenation. The cheek is a 3-D structure and does not limit itself to just the bone. A close analysis must be performed to examine the bony and soft tissue components of the cheek. This is as well as the projection of the cheek in all three dimensions. Some patients will benefit from bony augmentation, while others require soft tissue enhancement. Ethnicity plays a large role in the position of the cheek. The surgeon, with the patient, must carefully determine the desired improvement. Cheek augmentation can be performed to provide a more masculine look, younger appearance or simply a more harmonious facial balance. Building on the bony pyramid of the cheek can be very simply performed with fillers, in order to rapidly provide anterior or lateral projection. Fillers most commonly used for this are Voluma and Radiesse, which are longer-lasting. However, nearly every type of hyaluronic acid (HLA) filler may be used. If longer-lasting or more significant results are desired, the patient may elect to receive a facial implant. The implants may be placed a variety of ways, but they are most commonly positioned through hidden incisions in the mouth. Over time, this is the less-costly and more significant form of augmentation. The type of implant used depends on the patient’s facial characteristics as well as surgeon preference. Soft tissue augmentation can be used to improve the appearance of the tired or aging face. Typically, facial fillers such as HLA fillers or fat transfer methods are used to achieve this, depending on the patient’s needs. These techniques can improve hollowing, saggy appearing skin, shadowing, wrinkles and grooves, amongst of host of other issues. Soft tissue augmentation can often be combined with bony augmentation to provide the most natural and noticeable improvement. Fat transfer can be performed over several minor sessions using fat removed from the abdomen. This may be performed under local anesthesia. HLA facial fillers may also be used as well and can provide a very reliable result. The type of filler used depends on where in the cheek the filler is injected. The chin, like the cheek, is a 3-D structure. Although reduction may easily be performed, most men in our practice request augmentation or enhancement. Using careful analysis and photography, the surgeon and patient can determine together the extent of augmentation desired. This is as well as the dimension or vector in which the change is to be made. The most commonly performed type of augmentation is by using an implant, which is placed through a hidden incision under the chin. A large variety of implants are available, depending on the patient’s anatomy and desired result. This procedure can be performed under local or general anesthesia upon patient request. Another great and simple way to obtain changes in the chin is to use facial fillers. Facial fillers used in the chin are predictable and can give a great result, but they are temporary as all facial fillers are. Jaw augmentation procedures are a wonderful way to enhance the definition of the angle of the mandible and along the jawline. Men with weaker jawlines gain great benefit from this. It not only strengthens the appearance of the jaw, but it creates a more refined jawline and neck. Jaw augmentation may be performed with an implant through hidden incisions through the mouth or with facial fillers. Both have demonstrated significant, natural and reliable results. Some patients elect to undergo jaw reduction. For most patients, this simply entails the use of Botox injections to decrease the size of a large masseter or chewing muscle (masseteric hypertrophy). The Botox injections are performed over several sessions in order to atrophy and shrink the muscle. In these cases, Botox, Xeomin and Dysport have been shown to be the most effective. If bony reduction is indicated, Dr. Talei works with orthognathic specialists in order to provide the best care for his patients.